← Spring is sprouting itty bitty bags! 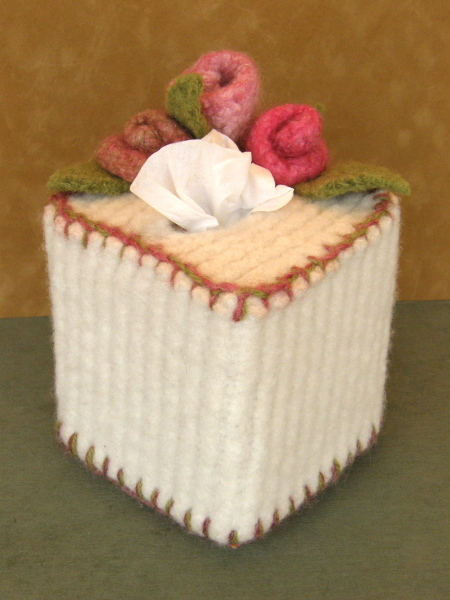 Felted Tissue Box with Rosettes! Isn’t it pretty? …and just in time for Mother’s Day too! This little item is just the perfect thing to spread a bit of fuzzy comfort when you most need it… and it adds a bit of springtime cheer even through the worst of the sniffles! It makes me smile every time I reach for it as it reminds me of my grandmother, with it’s pretty rosettes perched on top in old-timey styling. This would make a wonderful gift item too: what girl wouldn’t feel pampered when presented with such a special gift from the heart…and pegs! From now thru Monday, May 9th, receive 15% off each and every item at the Gettin’ It Pegged Artfire Shop! Now’s the perfect time to pick out a gift, pick up that pattern you’ve been wanting, or just select a little goody for yourself. 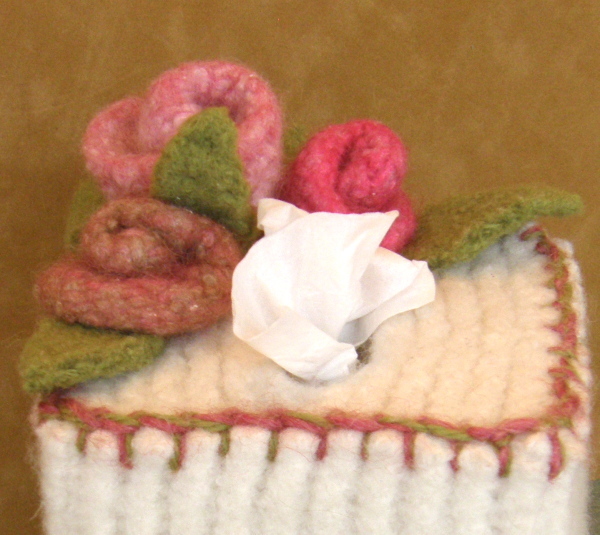 This entry was posted in Gettinitpegged Gear, Holidays, Loom Knitting, Looming Patterns, New Projects, Peggin' Pages. Bookmark the permalink. Pretty, Bethany 🙂 It makes me think of my grandma also. Hope you have a lovely Mother’s Day!